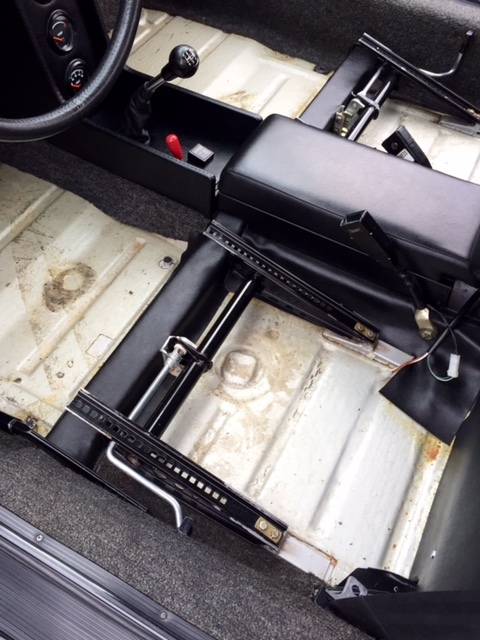 Removed the rust acid washed and use the POR15 on the floor pan. Cut out patched welded and use the POR15 in the hell hole. Figuring out what to do next? Do I put the old heat/sound insulation stuff back on and put contact cement on my beautiful paint job in the engine bay and back of seat? I have the old ones I pulled off. Using the 1975 technology for sound and hear versus new self stick items that Protect against both as well. New stuf Has to be better or at least the same? Also how bout I leave the engine insulation out all together and just use thick stuff behind seat. The old stuff , behind seat and engine bay my gether must weigh 60 pounds. Don’t really want to put the tar stuff back on the floor pan either as it took me a week to remove and seemed to trap water underneath. I want this car to look and stay as oem as possible but it’s not going to Amelia island or pebble beach. I just did the same thing in my 74'. That’s what I was thinking. I was also looking at this stuff for inside fire wall. Gets great reviews. Then the dynamat hood liner material for inside the engine compartment. I need to make the same decision on my bare metal resto. I'm going to put either Noico or B-Quiet brand foil-faced butyl on the floor. My only beef is that I hate the look of all that foil even though it will be covered with carpet. I have samples of B-Quiet that I'm going to experiment with painting to match the original factory look. An alternative would be Evercoat's sound deadener which pretty much replicates the factory stuff only butyl, but not quite as effective as sound deadener. 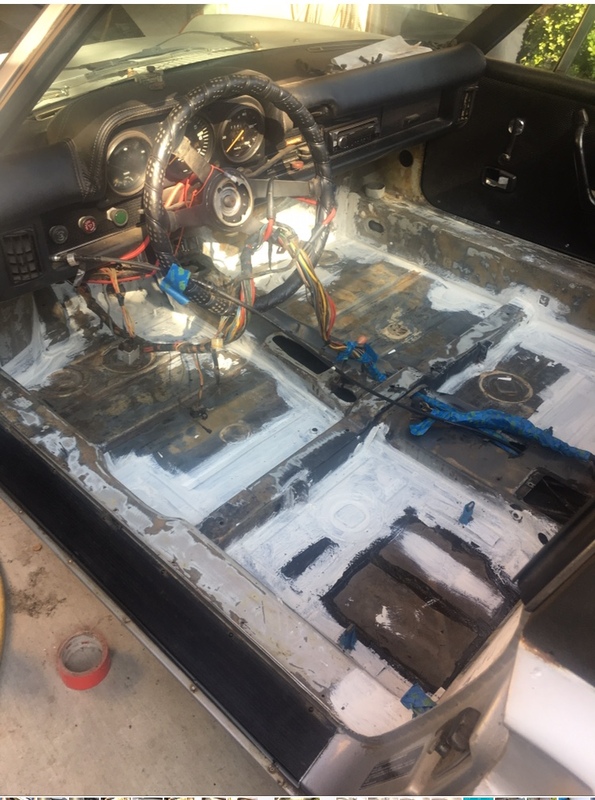 I recently cleaned my interior and was pleasantly surprised that the floors were in great shape.....I just vacuumed them and applied a coat of wax to the painted areas. I hear ya. It’s nice to know that everything is pristine, even under the carpet! Keep in mind that foil and butyl based products like dynamat work by breaking up vibrations and only partial coverage of the metal is needed. 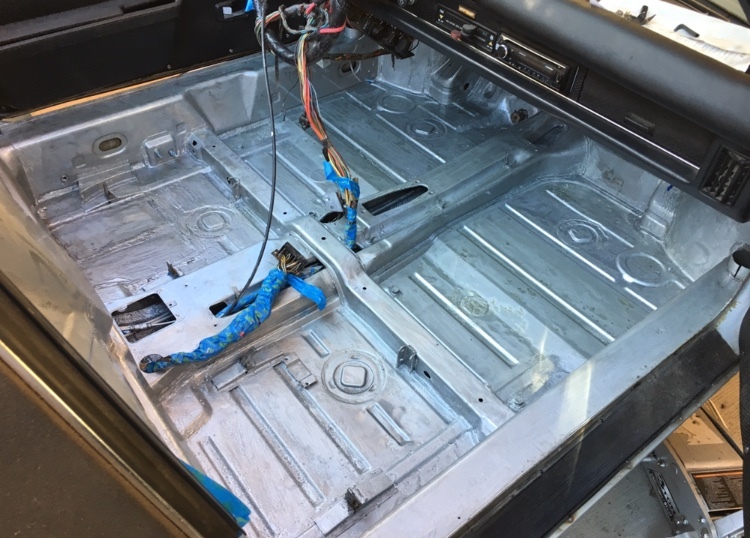 Most of the sound deadening happens in the foam which is laid on top of the foil/butyl. Each manufacturer has their own system and coverage recommendations, but plastering the foil stuff everywhere is expensive overkill. (IMG:style_emoticons/default/agree.gif) I'm planning only to cover what the factory did. What's your experience with foam overlay products? I've assumed these are loose laid and act more like a carpet pad so haven't looked deeply into them yet.